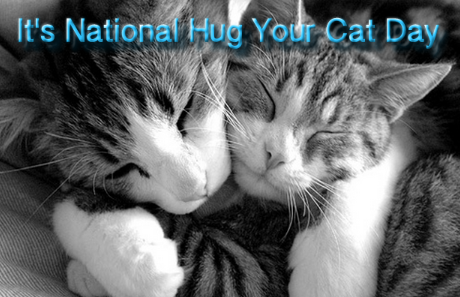 Yes it’s true, we need a day designated each year to remind you to hug your cat. If you’re like most cat lovers, you’re probably finally feeling vindicated that the rest of the world is crazy instead of you because after all, why wouldn’t you hug your cat every day. But maybe you’re allergic to cats so you can’t have them living with you or maybe your seedy landlord won’t see his way to letting you have one. What’s a person to do? Never you fear, your local animal shelter is there to help you. One of the best ways to volunteer at your local animal shelter is by being a cat cuddler. Cat cuddler you say? Is there truly such a thing? Why yes of course there is and it’s as simple as visiting your local animal shelter to sign-up as a volunteer. Cats in animal shelters often need special attention and socializing to make them more adoptable and cat cuddlers are the secret weapons that animal shelters have to rehabilitate these often fearful animals. Even if you have already hugged your cat today, spend some time paying your hugs forward to those cats in need.